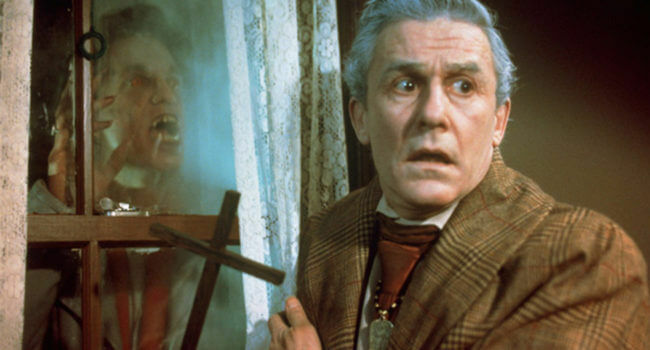 Peter Vincent (Roddy McDowall) is one of the main characters of the Fright Night film series. He is a washed-up horror actor and host of the late night “Fright Night” horror series turned vampire killer after Charley Brewster enlists him to live up to his horror legacy in helping him kill real vampire Jerry Dandrige. For accessories, consider mallets, wooden stakes, or crosses to ward off any vampires.